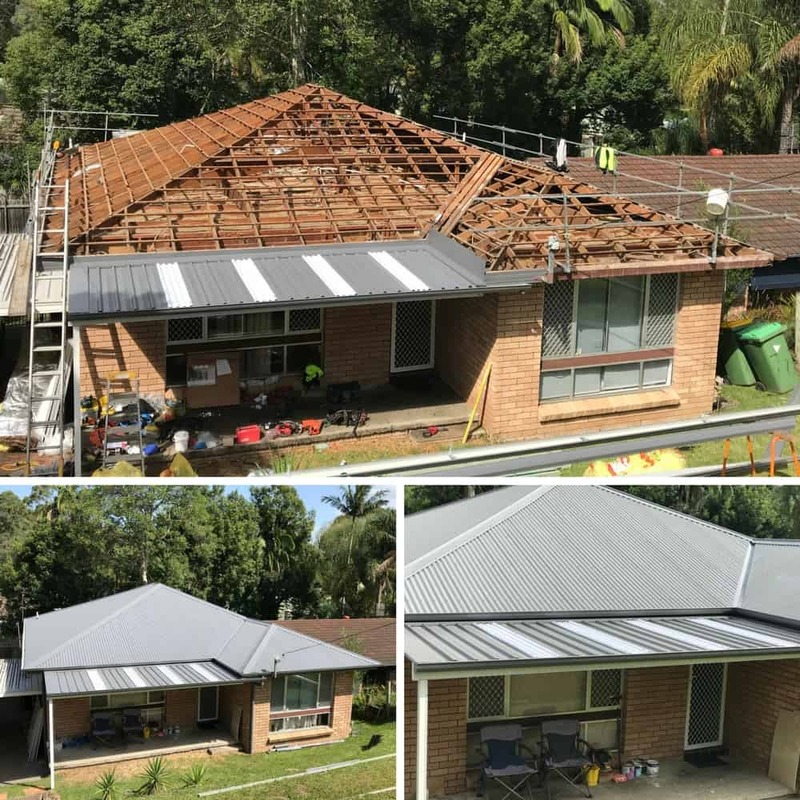 ARC Metal Roofing are the Sydney and the Central Coast roof replacement experts. Our standout reputation as an expert, reliable, and friendly roofing company rests on more than 30 years of putting the customer first. 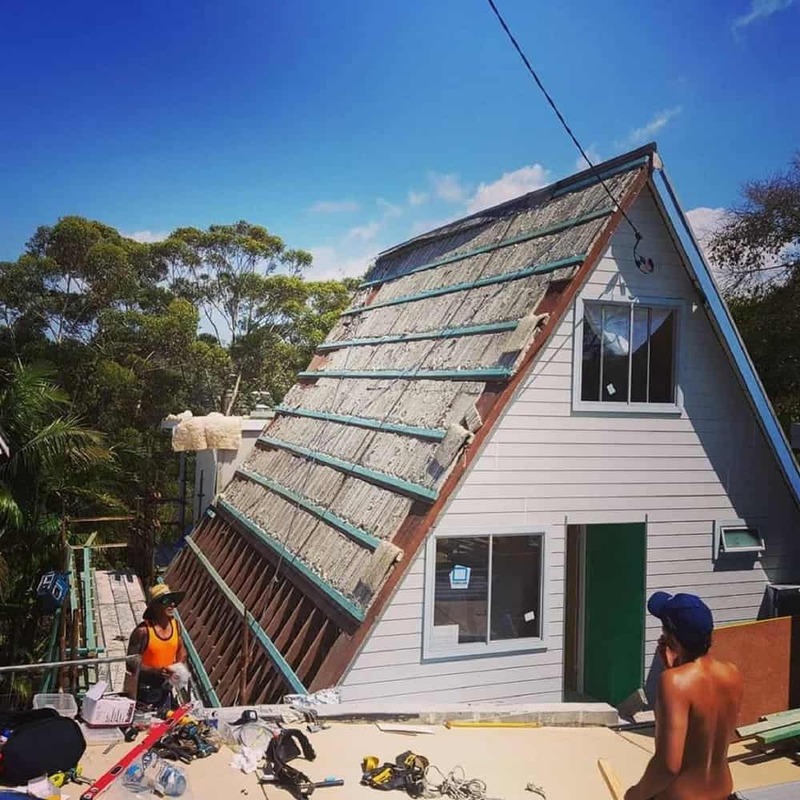 Modern Australian roofing materials are built to last but there comes a time when you need to replace even the best roofs. The roof is one of the most important parts of your home and provides protection from wild wet and windy weather as well as helping to keep your home cool in summer and warm in winter. Re-roofing can be a little like opening a can of worms (literally) so it’s important you trust your new roof to the experts. Repairing a roof generally does not make good economic sense. Repairs tend to be temporary, relatively expensive, and can cause additional problems. Replacing your roof is usually the better home improvement option and can add great value to your prime investment. ARC Metal Roofing follows industry best practices right from the start and takes the stress out of replacing your roof. All quotations completed with 24 – 72 hours of your initial enquiry! We Call within 5 days of the quotation being sent..
That you may have regarding our service inclusions, products, or pricing. We will call you within 3 days of the project starting to confirm our arrival. We Know Communication is Very Important, so strive to keep you informed every step of the way. If the project schedule is affected by bad weather, delays due to site access, or availability of materials you will be notified well in advance. We’ve outlined the ARC roof replacement process for you here because we know how much you hate nasty surprises. When you ask us to quote for your re-roof either Brent (Customer Relations Manager) or Dave (Project Manager) will carry out a detailed roof inspection at a time that suits you. We will give you a free, no obligation professional consultation on the state of your current roof and outline your options. We will supply a comprehensive written quote within 24 to 72 hours of your initial inquiry. This will outline all the services and materials required to re-roof your home or property. There will be no hidden surprises or overlooked details. When you accept our quote we will also arrange a Home Warranty insurance if you need it. The next step is to install fall arrest systems such as scaffolding, safety rails or harness systems onsite. This is a legal requirement and we take the safety of our team and yours very seriously. We make sure your garden plants, lawns, and house walls are protected. 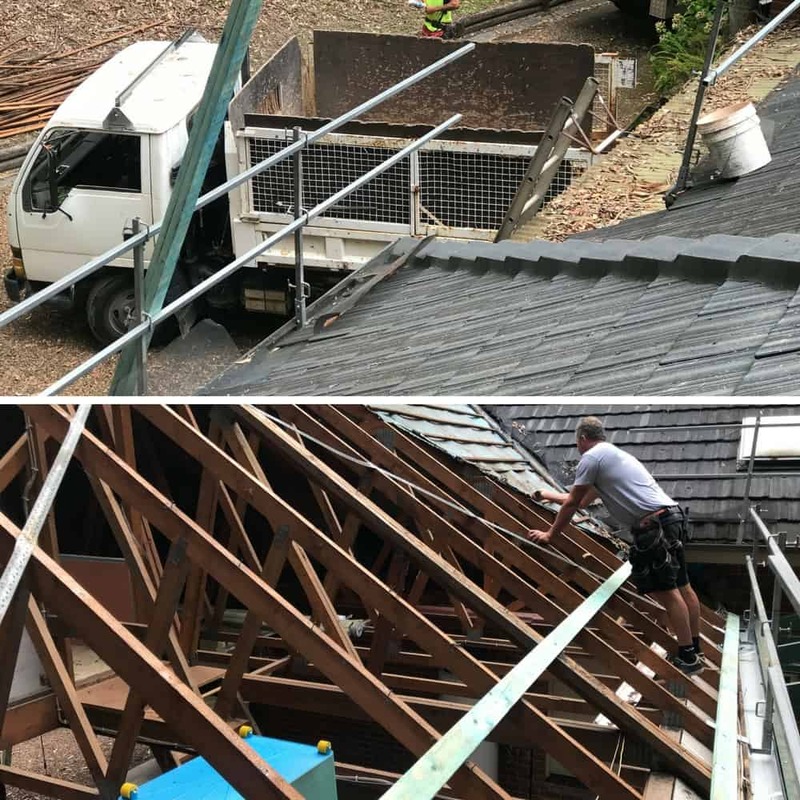 We then carefully remove the existing roof, whether it’s tiles, metal or any other material and remove them from the property. We do our best to recycle as much of that material as possible. We inspect the roof structure for any damage or faults before replacing the sarking, insulation, and new battens. We lay the new metal sheeting and flashings paying special attention to penetration points such as around flues and skylights. This aspect is often a critical area for roof failure. We carry out a final inspection and tidy up our work area making sure we leave your property as we found it. Tile roofs have their place but slate, concrete or terracotta roof tiles tend to be expensive, a little more fragile, and can be prone to weather-tightness issues. Tile roofs are also considerably heavier than a metal roof placing a greater strain on the roofing structure. Roof tiles can often crack too thanks to the harsh Australian climate. Fortunately, replacing your tile roof with a modern lightweight super strong metal roof has never been easier. 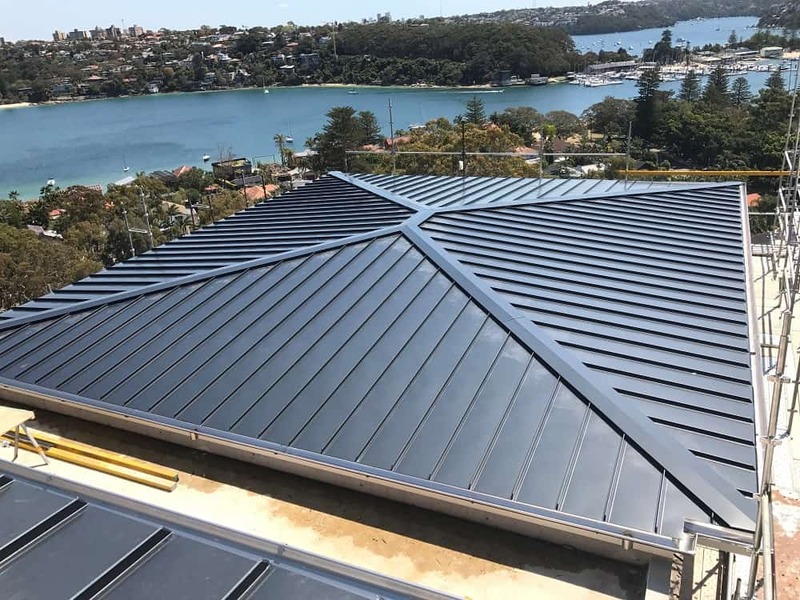 Metal roofs have been protecting Australian homes for more than 160 years and have proven themselves through all that the Australian climate could throw at it including, storms, fires, and termites. Colorbond—baked on colour –the perfect blend of inspiration and high performance function. Copper—combines an iconic visionary approach to modern roofing with outstanding performance. Zinc –99% pure zinc with some titanium and copper added provides outstanding anti-corrosion and durability performance. Aluminium—exceptional performance and startling beauty–what more can you want? Each of these roofing materials has their own distinct characteristics and advantages but the friendly ARC experts can help you choose the right one for your roof. Most of these panel types come in a range of thicknesses. Using thicker sheets on your new roof will be more expensive but will provide considerably greater protection against the weather and be more resistant to dents and damage if other people need to access the roof for maintenance. Modern roofing materials and innovative design allows your creativity to flourish. It all began with corrugated iron but these days there are an enormous range of profiles to choose from. 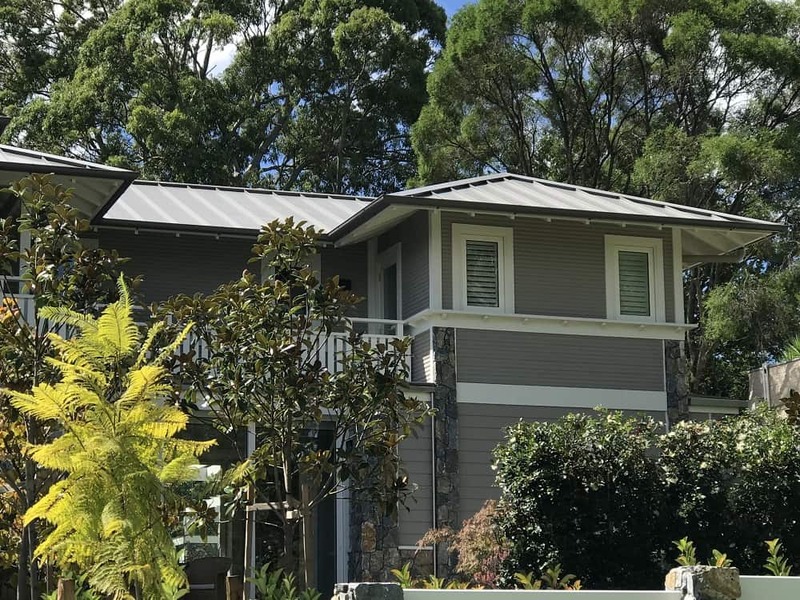 You can go with the traditional corrugated look or give your property the smart modern look of a standing seam profile. Most of our roofing steel is made right here in Australia by Bluescope Steel. 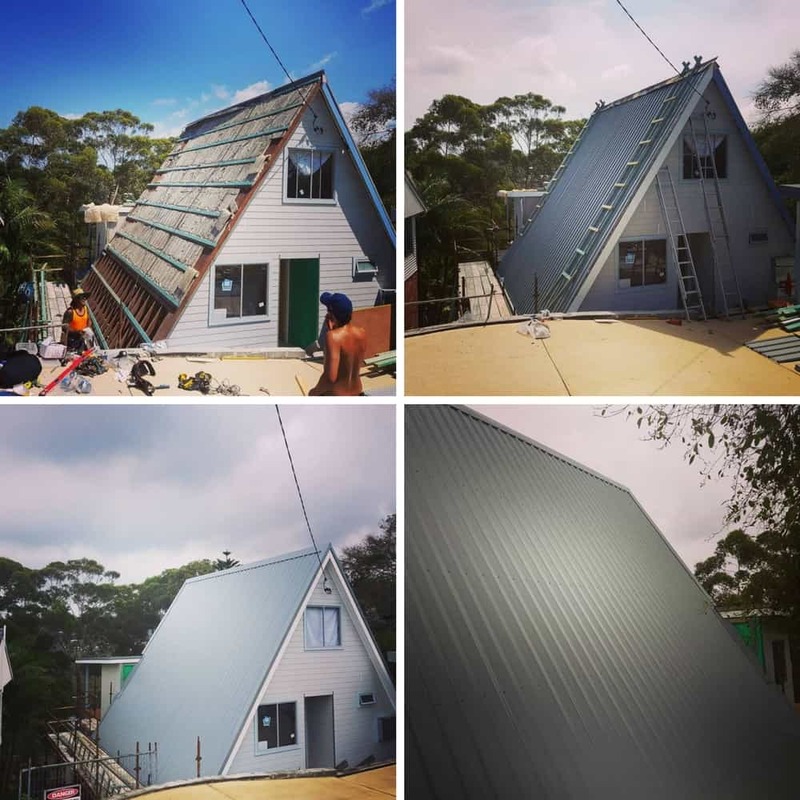 ARC only use Bluescope Steel for our roof sheets and flashing, as it’s dedicated to protecting the environment as an integral part of achieving the highest standards of product development. Then you need to take a look at some of the design features of your home because these will influence your choice of roof. The devastating costs (financial and social) of bushfires are literally going through the roof. Using the right materials when you replace your roof can help prevent fire from taking hold in your property. In simple terms; most metal roofing options, including Colorbond and Zincalume, provide superior protection in the event of a bushfire and are appropriate for the highest bushfire rated areas. Additionally, the sarking and insulation may need to be replaced with flame retardant materials such as Bradford’s Fireseal FZ. The updated BAL FZ (Bushfire Attack Level Flame Zone) requirements cover large parts of NSW including some of the coastal regions. If you live in a bushfire zone your ARC consultant can answer any questions you may have. The pitch (angle) of the roof may also restrict your choice of materials. Zincalume in a snaplock profile may be used on very flat roofs (as low as 1.5°) whereas nail strip profile panels are not generally used below 7.5°. Klipock or Trimdeck style sheeting may be required on low pitch roofs. This will be determined at the roof inspection stage and profile recommendations made in accordance with the building code and manufacturers guides. In general terms; profiles with deeper pans are more suitable for low pitched roofs because of their ability to drain water of the roof more quickly, their seam design, and their concealed fixings. Unfortunately, it’s a fact of life; rust never sleeps. The distance from the ocean to your property is something you need to consider when re-roofing. If your property is more than 1 km but no closer than 200m from the ocean you have a much greater choice of steel roofing panels. In severe and very severe marine environments (closer than 200 metres) you are restricted to two choices: Colorbond Ultra Steel and Stainless Steel. Trying to cheat by using materials that don’t suit your environment just doesn’t pay. Solar panels can be very heavy and require additional structural strengthening. Your solar panel installer may need to disconnect and remove the panels before we start work. When we replace your roof we will check that your solar panel installation is adequately supported and that any penetrations into your new roof are perfectly protected against water intrusion and wind damage. It is usually quite straightforward to lay new roofing sheets around existing chimneys and skylights. Any penetrations will be well protected from the weather using the proper flashings and seals. ARC provides a 7 year Rest Easy Warranty so you know you’re protected if there is a problem with the installation. You are also protected by the full Manufacturer’s Warranty for any material defects and this can be up to 30 years depending on your choice of material. Seeing is believing so take a look at these before and after photos. Now, imagine how a professionally installed replacement roof can transform your property. 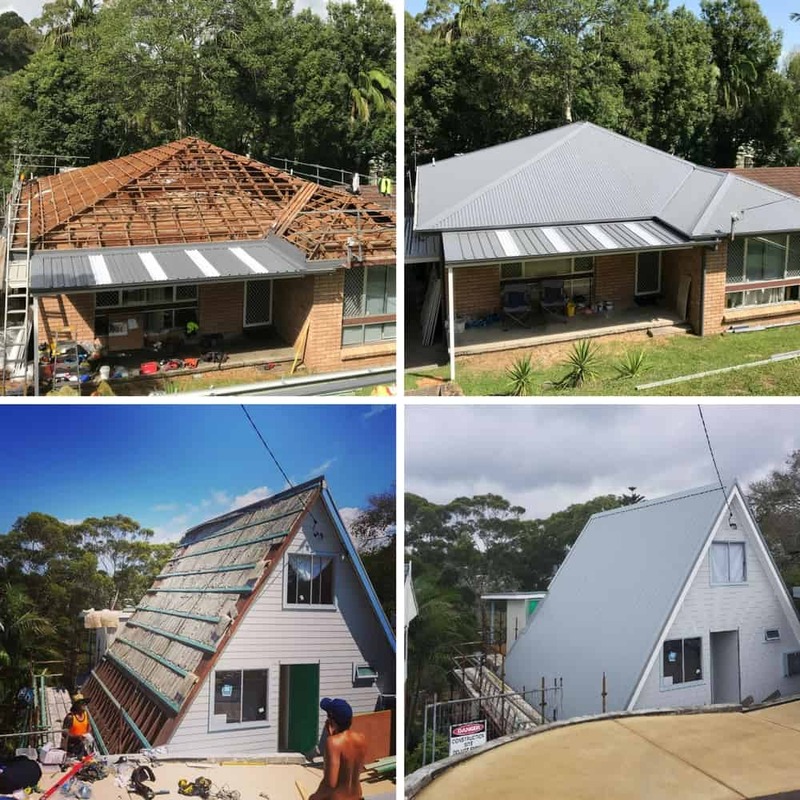 How much will a roof replacement cost in the Sydney and Central Coast areas? Gutters are an indispensable part of your roof. We can supply a huge range of pre-fabricated guttering or have guttering custom made to your specifications. Gutter guards add valuable protection to any roof rainwater collection system. ARC can supply a range of gutter guards that will prevent leaf and dirt build up, insect and vermin issues, and give added protection against bushfire embers. Insulation and sarking plays a critical role in keeping your home happy and healthy. Insulation keeps heat in during the colder months and the summer heat out and the right type of insulation can make a huge difference to your heating/cooling bills. ARC can supply all types of insulation and sarking.